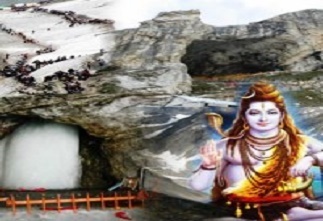 02 Nights / 03 Days Amarnath Darshan package tour is budget tour package which is dedicated to all the pilgrims having short duration of travel. Day 1 : Srinagar : Arrival at Srinagar - The Mini Switzerland of India "Kashmir" where guest will be greeted by representative of Amarnath Ji Yatra- A Unit Of J&K Group. After formal meet and greet, guest will be escorted towards Baltal for overnight stay. Check in at Hotel in Sonamarg. Free for own activities. 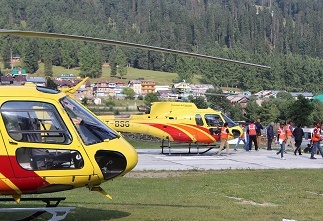 Day 2 :Neelgrat / Sonmarg l - Holy Cave - Neelgrat / - Sonmarg : Early morning catch the helicopter from baltal to Holycave. (The Helicopter stops 5 kms away from Holy cave since past 2 years.) Proceed for Darshan of Holy Amarnath ji and return back to Baltal by evening. O/n hotel in Sonamarg. Day 3 : Sonamarg - Srinagar : Early morning after breakfast proceed towards Srinagar. The drive between Baltal to Srinagar is approx 4hrs. Transfer to Srinagar Airport which concludes package tour to Amarnath ji. © 2015 - 2019 Heavens TradeMART Pvt.Ltd. All Rights Reserved.